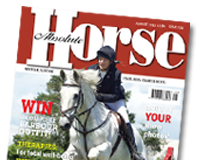 All roads lead to Bury Farm Equestrian Village, Slapton, Buckinghamshire, last weekend where pony riders from the length and breadth of the country gathered for four fun-filled Easter days of the Pony of the Year Show. This year the show carried a Jungle Book theme with monkeys and gorillas amongst the animals to become part of the wings and fences for a great jungle feel – although the weather didn’t feel able to join in, unless you count rain to complete the Rain Forest ambiance. 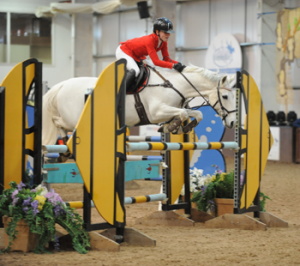 Millie Stennett, aged 12 years-old from Bury St Edmunds, Suffolk took victory in the British Showjumping 128cm/138cm Handicap Special Final. Riding Stafford, a 15 year-old grey mare owned by Claire Stennett. The pair produced two clear rounds, posting a jump off time of 49.97 to secure the top spot.